Unique Old Style Polish Vodka developed by head distiller Elzbieta Goldyka in 1996 to celebrate 50 years of post war production at Zielona Gora. 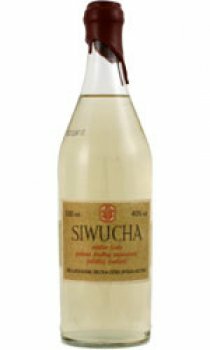 Siwucha translated means 'old grey lady'. Specially selected premium rye vodka with a dash of un-rectified barley spirit to replicate vodka from a bygone era. Aged then packaged in a unique corked and wax dipped opaque glass bottle. Great rounded rye flavour with a sweetness and character of its own.